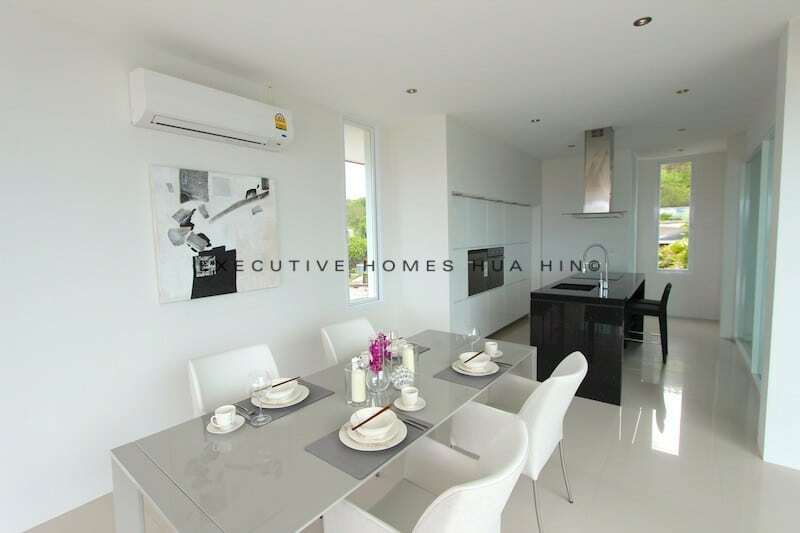 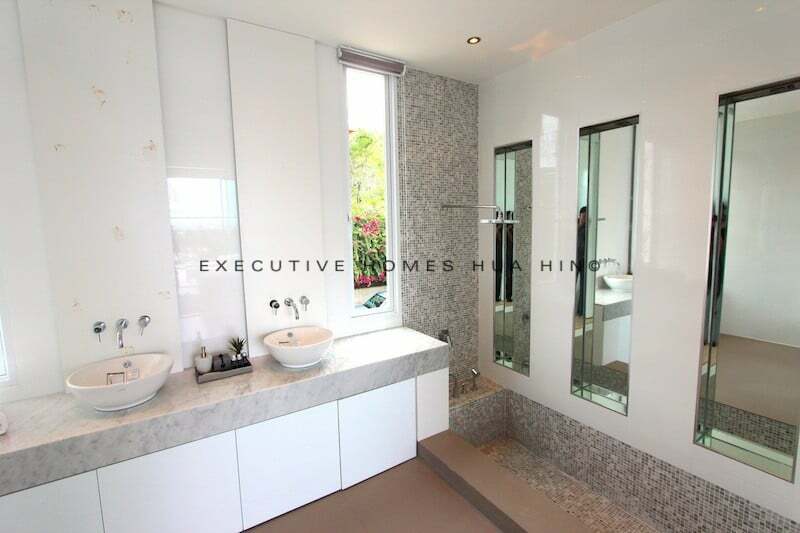 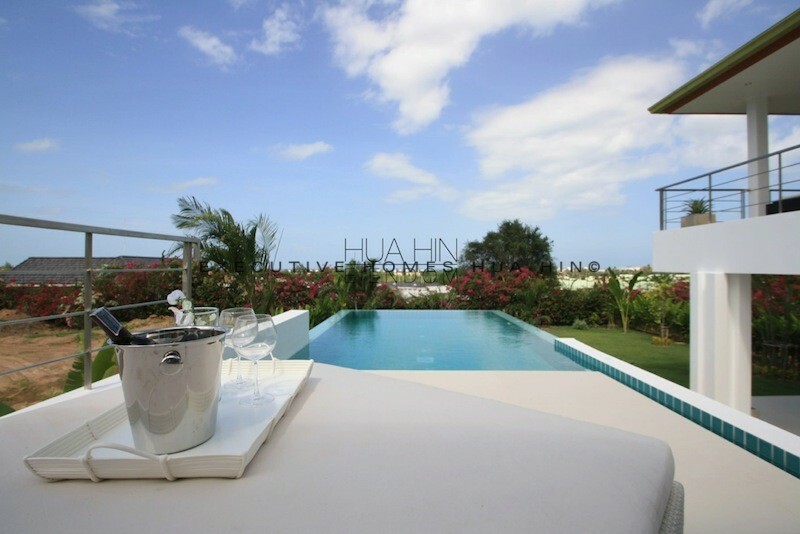 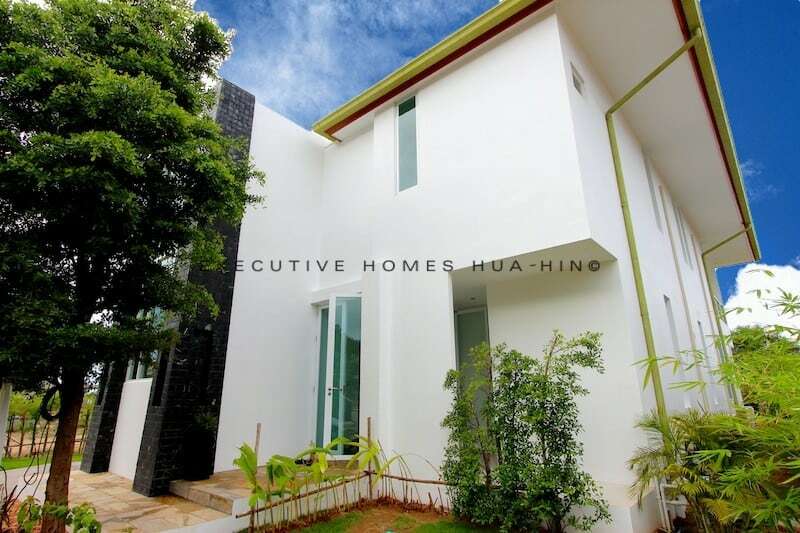 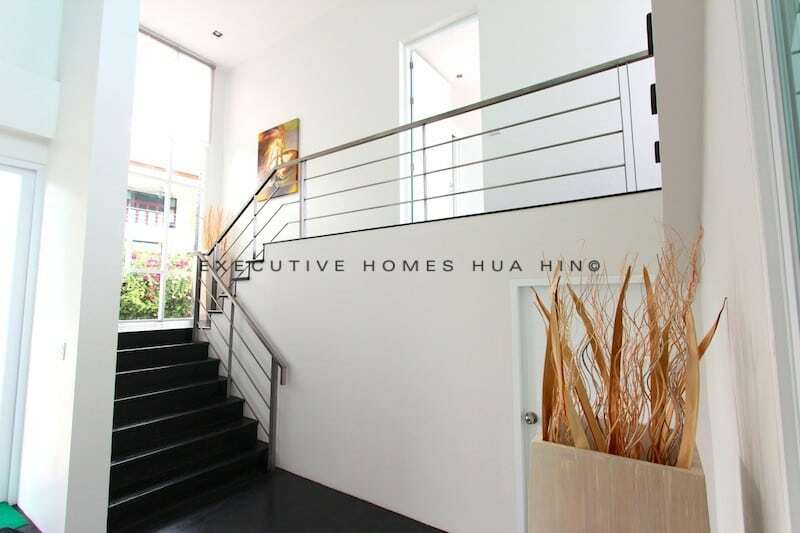 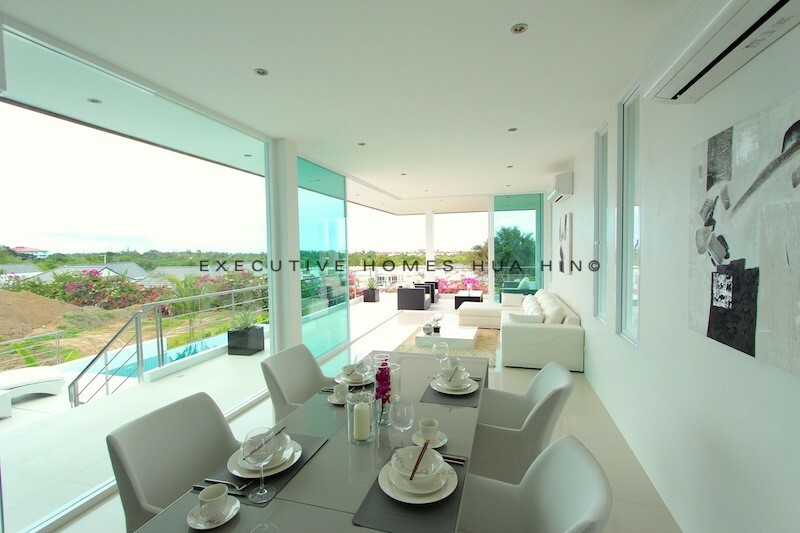 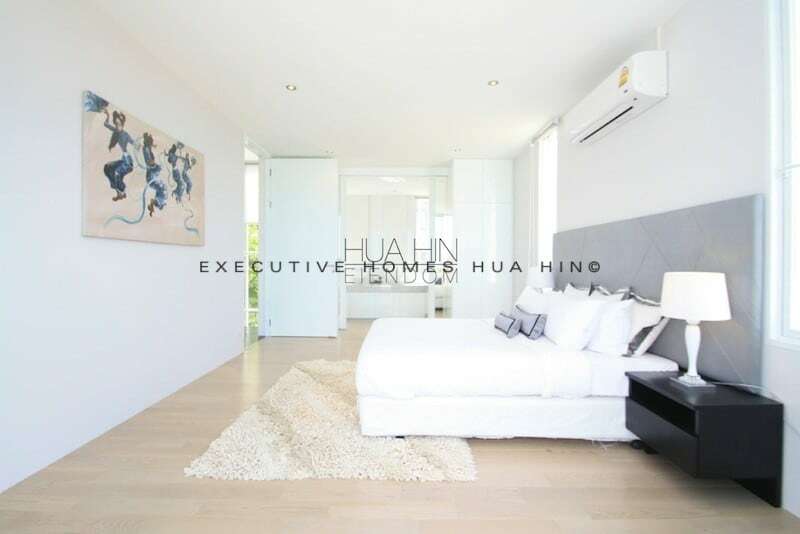 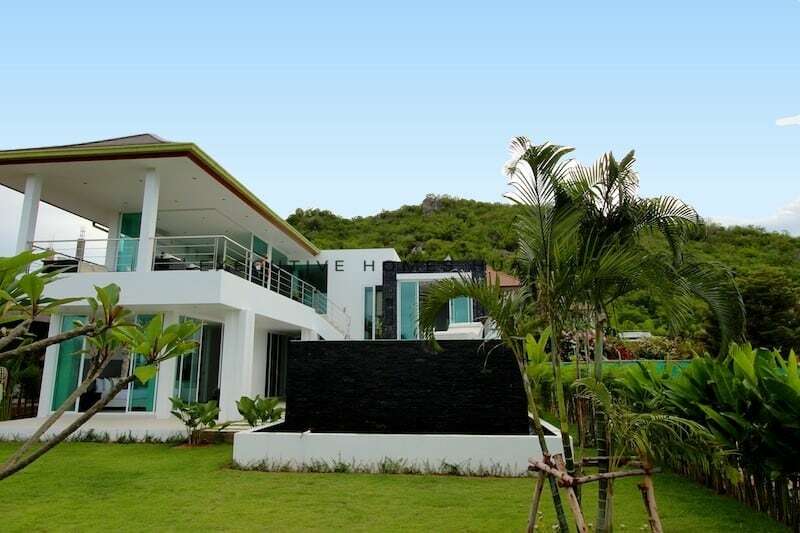 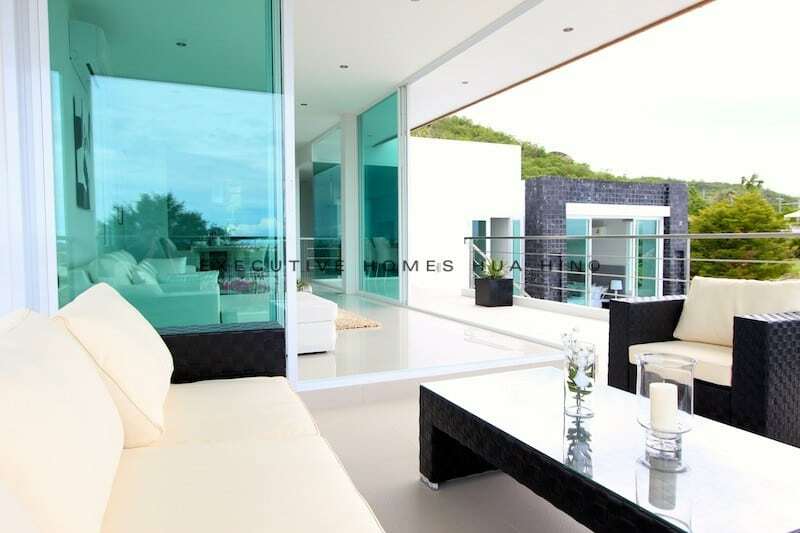 Beautiful, modern home for sale with sea and mountain views in south Hua Hin. 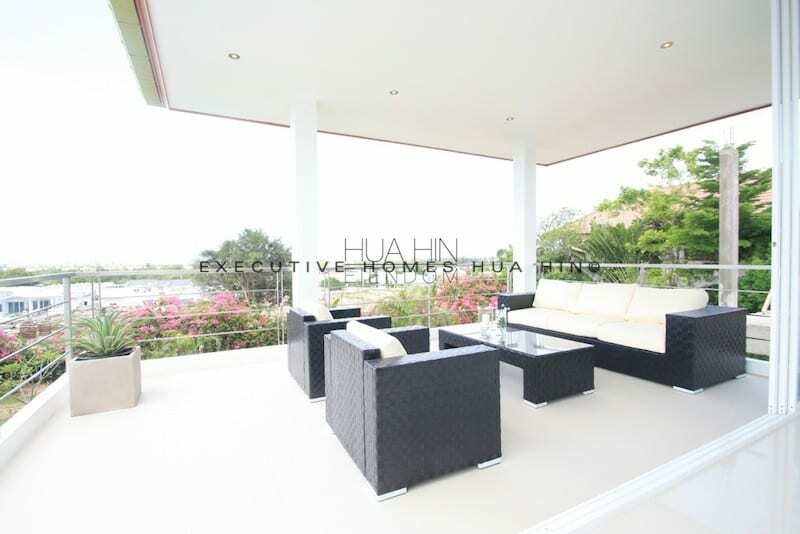 Considering options to buy Hua Hin sea view home s? 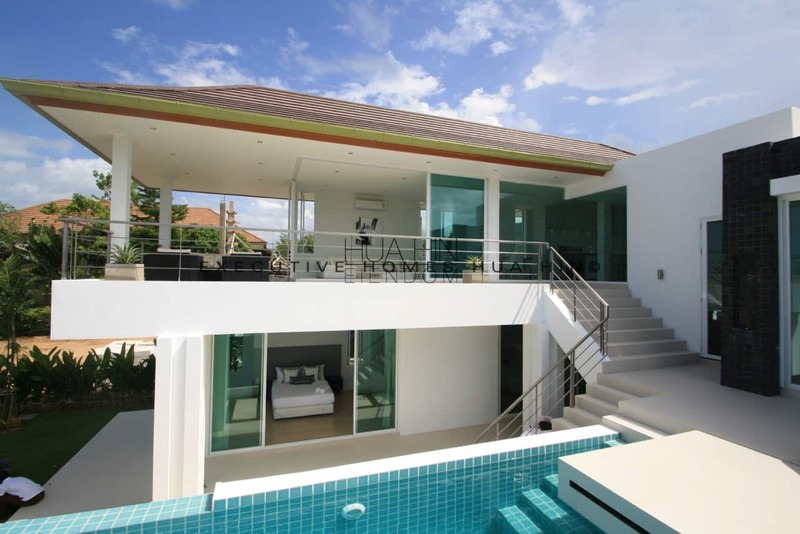 This beautiful pool villa is one of only four available in a distinguished development just south of Hua Hin town center. 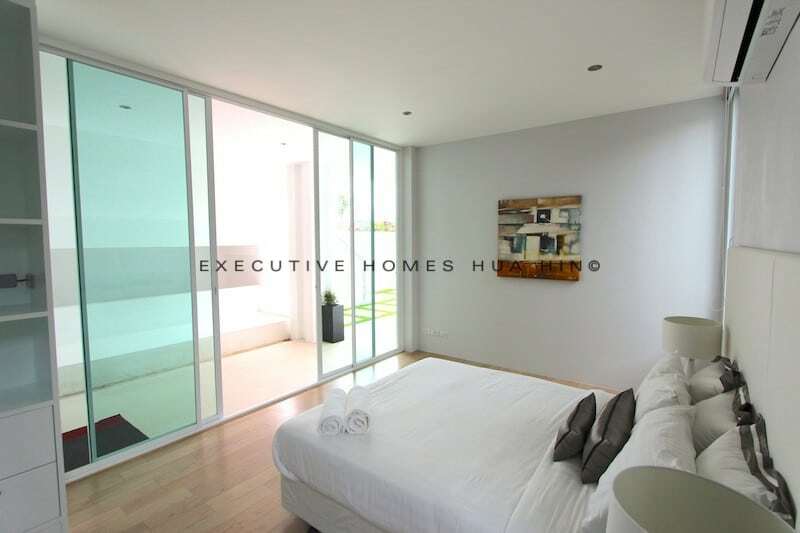 The development is renowned for its high quality and sleek, modern designs. 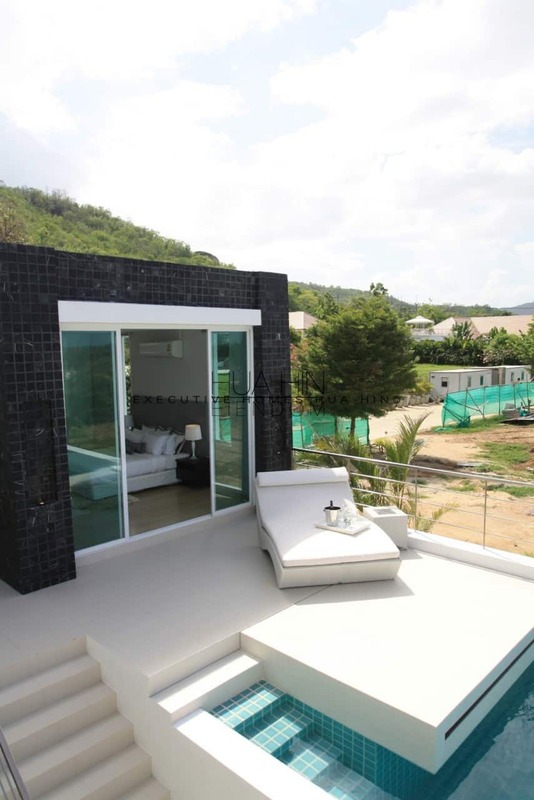 Originally priced only in the 25-30M THB range, the current phase is targeting a more affordable market, perfect for a retirement villa or vacation home. 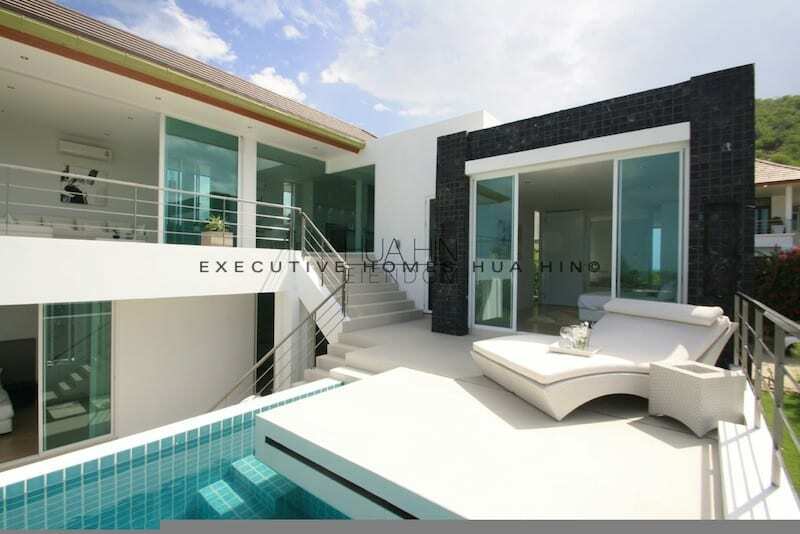 The size is modest and easy to maintain, though the incredibly high ceilings and the seamless transition from indoor to outdoor living spaces lends an incredibly large and grand feeling. 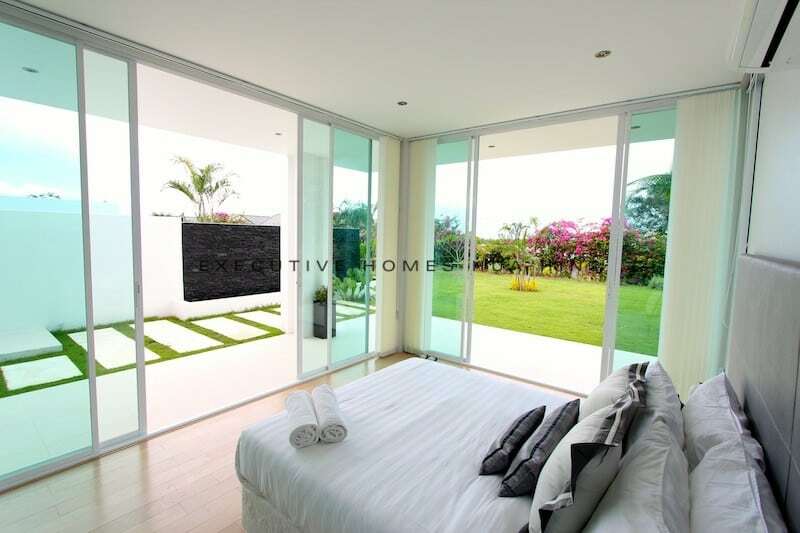 The living room area has fully retractable sliding glass doors to maximize the outdoor living area significantly. 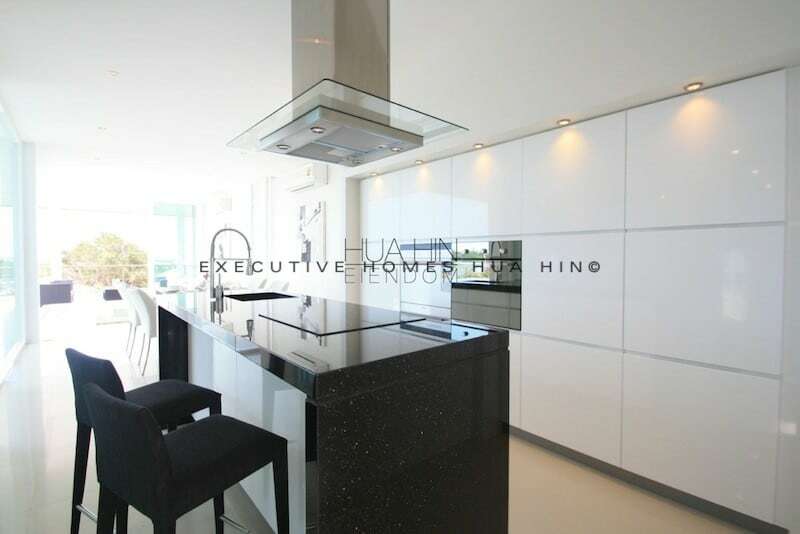 The kitchen is fully integrated for an ultra modern, high quality look. 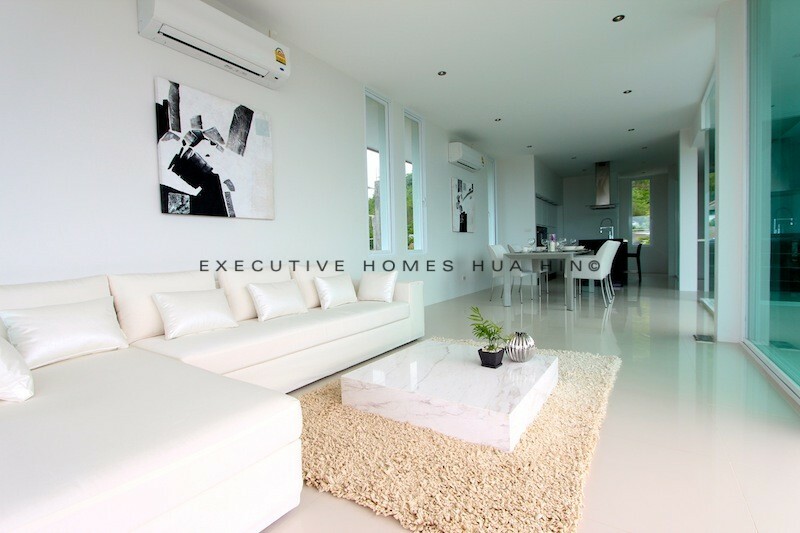 It’s obvious that great attention has been paid to every detail, and these houses will be a huge success! 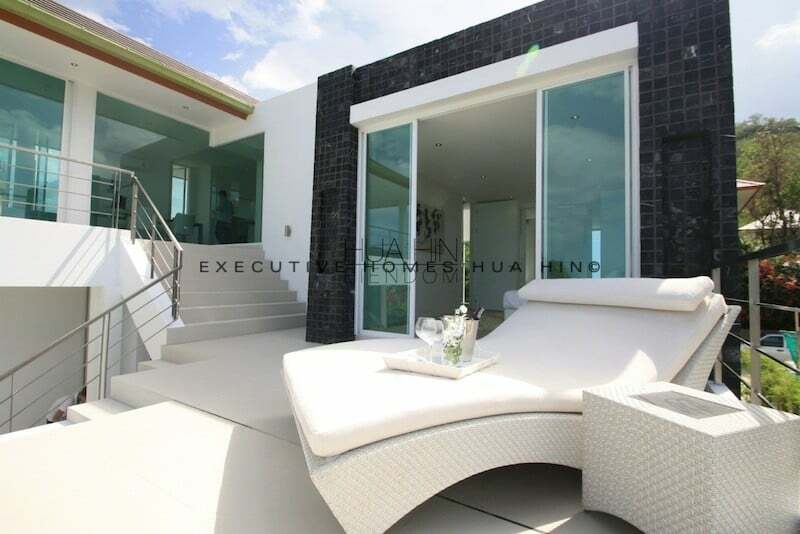 Plot sizes range from 650 to 1150 square meters; living area from 480-540 square meters; parking garages can accommodate 1 or 2 cars; larger plot sizes are available as well. 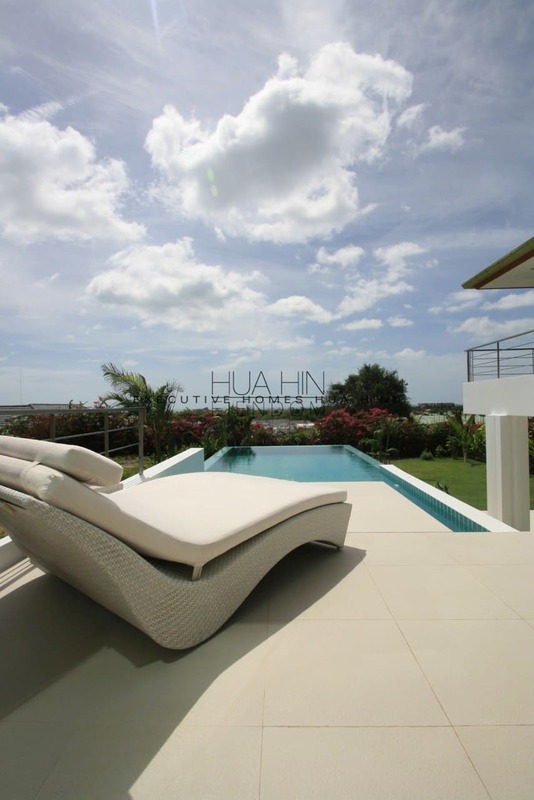 It is possible to customize tiles, stone, fountains, finishes, etc. 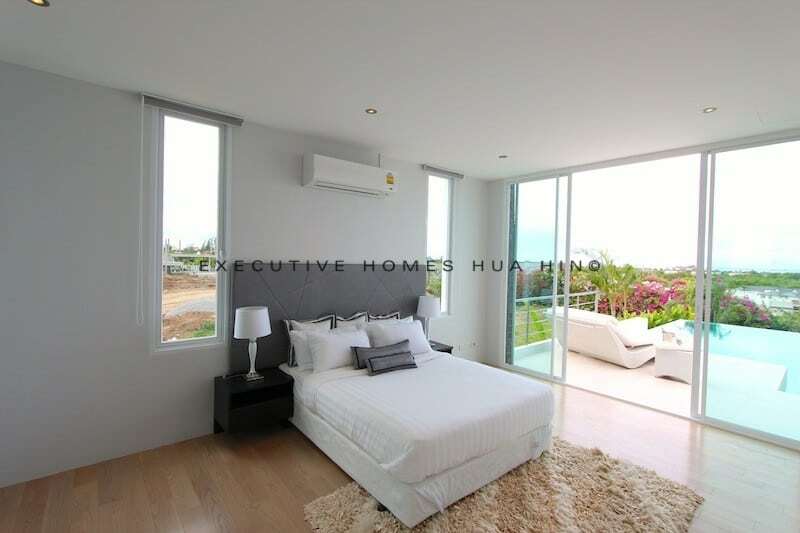 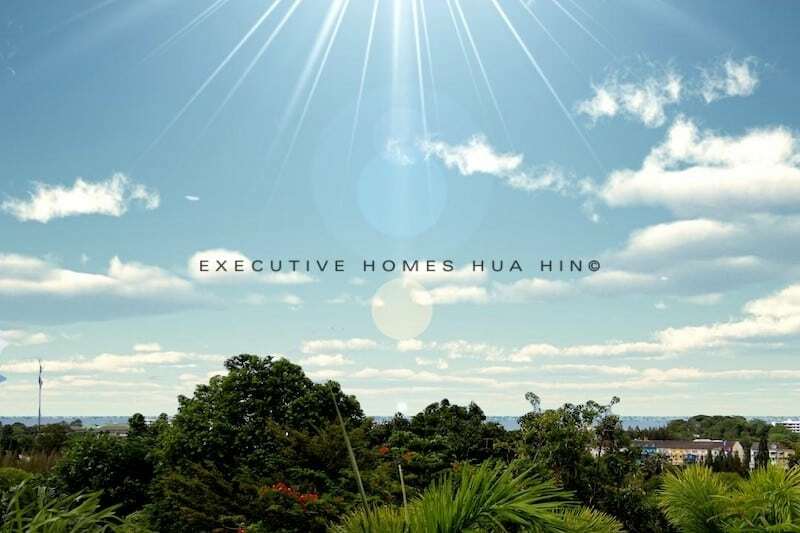 Located less than 10 minutes from downtown Hua Hin, 2 km from the beach, and with a phenomenal sea view, this development is situated in the best possible spot to take advantage of the quiet area with quick, easy access to town.